Up to 700 competitors are anticipated for the 2019 World Rowing Coastal Championships, to be held in Hong Kong from the 1st to the 3rd of November . . . The Hebe Haven Yacht Club’s Sailors’ Awards Night for the year 2018 took place on the 23rd of March 2019. Actually, there was a lot more to it than the title suggests . . . 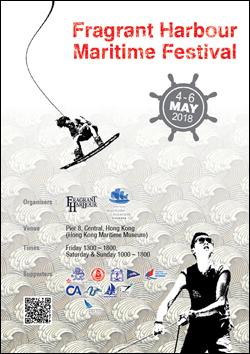 In what has become one of the most hotly-contested team racing events in Hong Kong, the 17th Boase Cohen & Collins Inter-School Sailing Festival was held last weekend . . . The closure of DB Marina and eviction of some 200 boats by HK Resort has been reported on at length in the South China Morning Post, on portals and blogs . . . 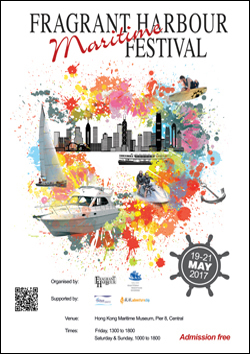 The 15th Top of the Gulf Regatta will take place 30th April to 5th May, 2019 in the waters of the Gulf of Thailand in Pattaya . . .
Pacifico Voyager 99 A presentation of the Pacifico Voyager 99 (pictured right) was held at the Seven Feet Yacht Club (Vladivostok) mid last year and guests were invited to review this luxury catamaran . . .
Jeanneau’s Merry Fisher 875 Marlin, a manoeuvrable and sturdy runabout, under cover. It features all the characteristics of a ‘Crossover of the Sea”, as Jeanneau puts it . . .
Held in the Fisherman’s Wharf Marina on the Macau waterfront, the 8th China Macau International Yacht Import & Export Fair ran from the 1st to the 4th of November 2018. The show appears to be settling in to a regular, and more sensible, venue and long may this continue . . .
Burma Boating, a sailing firm owned by Myanmar tourism trailblazer, Memories Group, has unveiled the latest acquisition to its fleet — the S55, a 16.7-metre solar-powered yacht . . .
After four days of racing, Team Wan Boo Fish Sailing from Macau and Team WYC Lake Constance were crowned overall winners of the inaugural Greater Bay Area Cup Regatta and Macao Cup 2019 . . .
Overcast skies and drizzle greeted the Ruffian fleet as it headed out of the Royal Hong Kong Yacht Club for the Hung Hom start of the Ruffian Class Championships 2018 in Victoria Harbour . . .
We ask you to join WWF-Hong Kong and deplore the approval of a CLP and HK Electric plan to go ahead with a floating liquefied natural gas (LNG) storage and regasification platform off the Soko Islands, south of Lantau . . .
Just a handful of people have sailed solo, non-stop around the world in a yacht. Kim Seung-jin — an adventurer, documentary producer and sailor from South Korea . . .